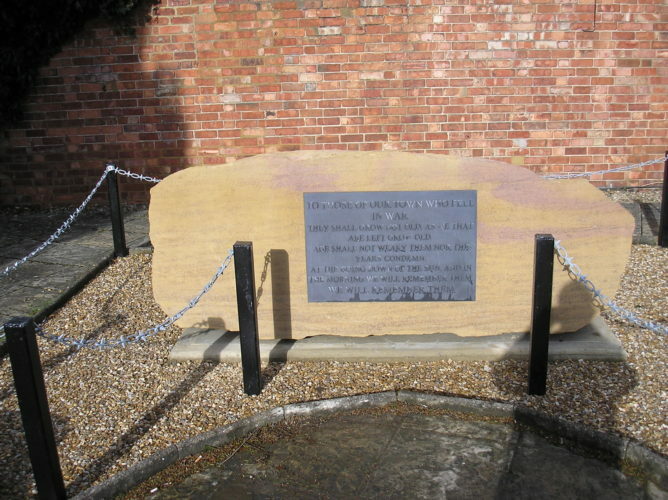 At the conclusion of World War One, Thrapston settled on two aspects of remembrance, the purchase of land to create the “Peace Park” on Huntingdon Road, and wooden panelling around the chancel of the parish church of St James into which were incised the names of ‘The Fallen’, those of World War Two and Iraq would subsequently be added. 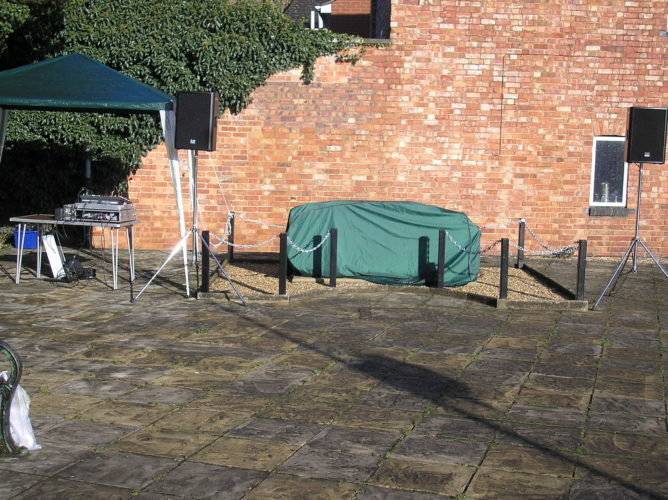 In 2010 following research by Eric Franklin and Eddie Sewell, published as “In the Springtime of their Lives” the names were amended and missing names were added to the listings. 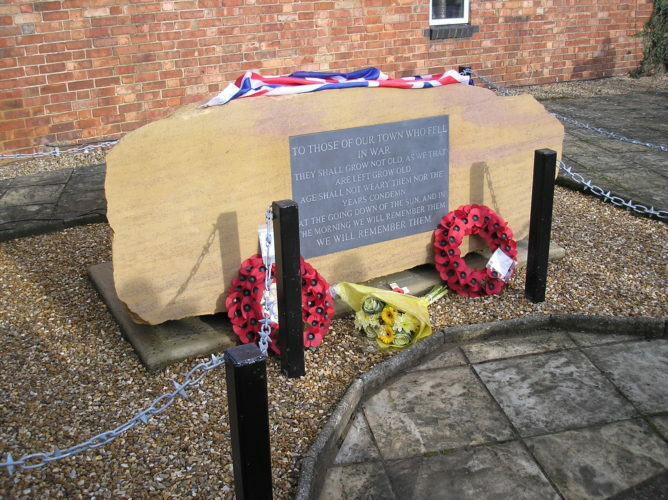 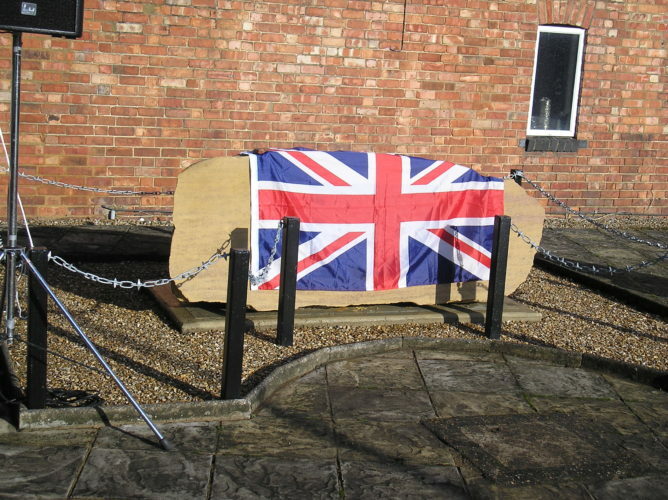 It was suggested at a meeting of Thrapston & District Royal British Legion Branch in 2013 that the need had arisen for an external War Memorial, little progress was made until 2014, when a fund raising campaign began, following the request from Thrapston Town Council that Thrapston & District Royal British Legion Branch act as the lead organisation concerning the war memorial, which was to be part of the larger reburbishment and regeneration of Coronation Gardens. An ambitious completion target of 3rd August 2014 to mark the outbreak of World War One was set, the fund raising and generous support from Thrapston Town Council saw the new external War Memorial dedicated on November 9th 2014 Remembrance Sunday. 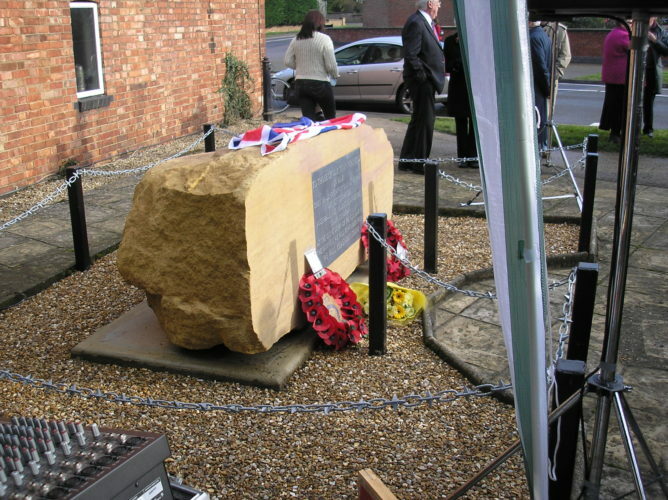 Memorial stone, dedicated and unveiled, first wreathes and items of remembrance laid upon it. 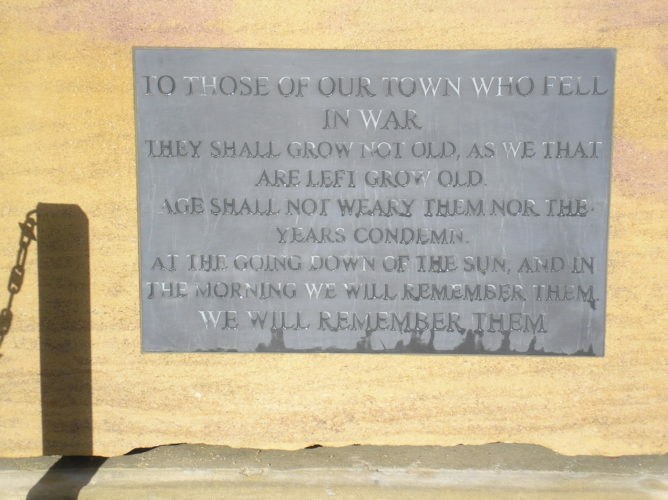 This page was added on 01/04/2017.